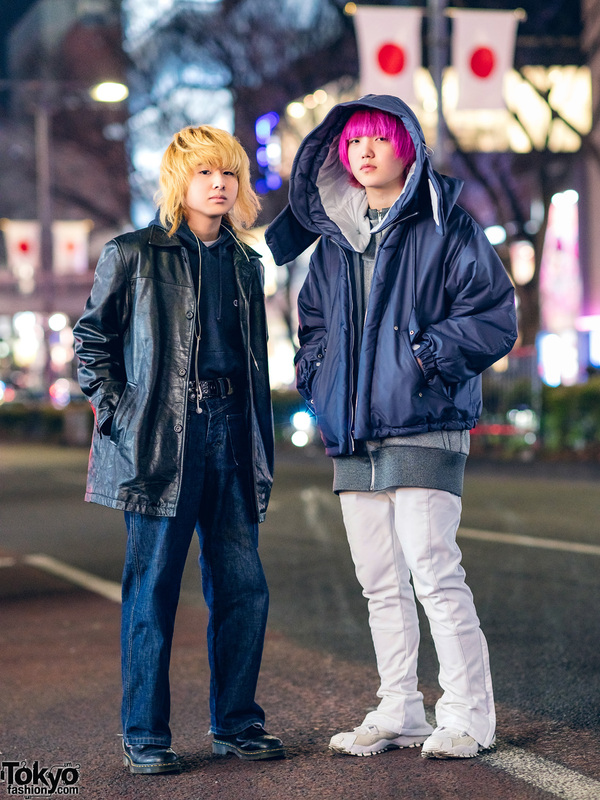 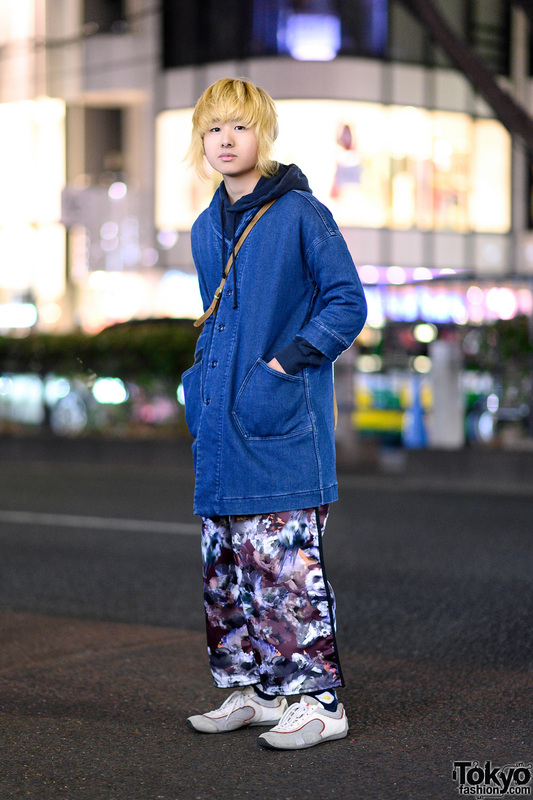 Blonde-haired Harajuku student sporting a casual look with a hoodie sweater, resale denim pants and spike shoes. 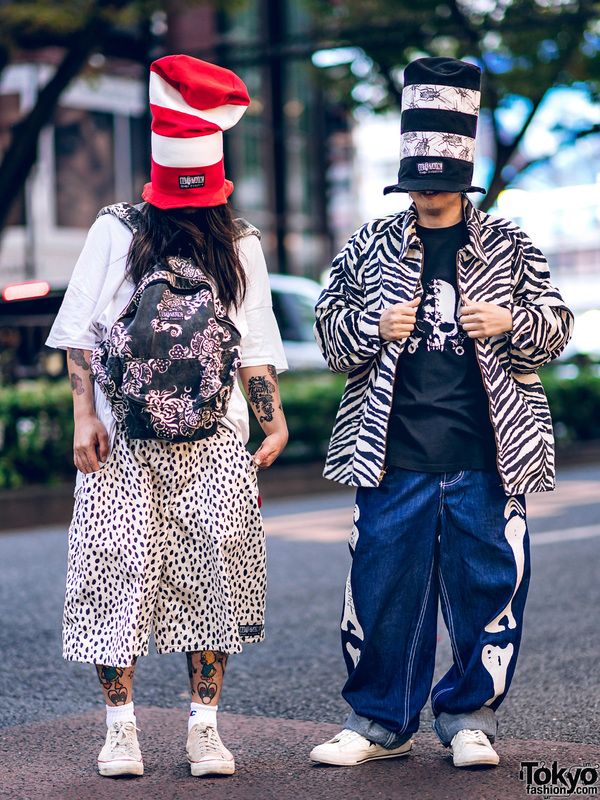 Japanese graphic designer in extreme streetwear fashion. 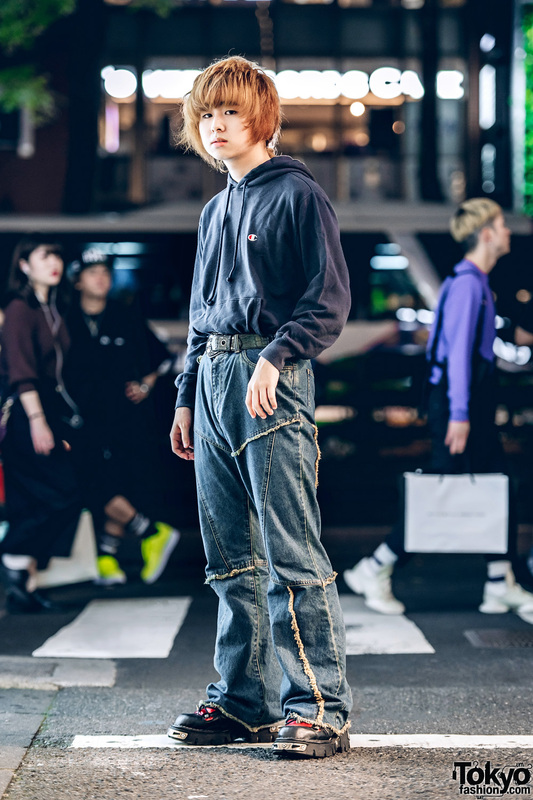 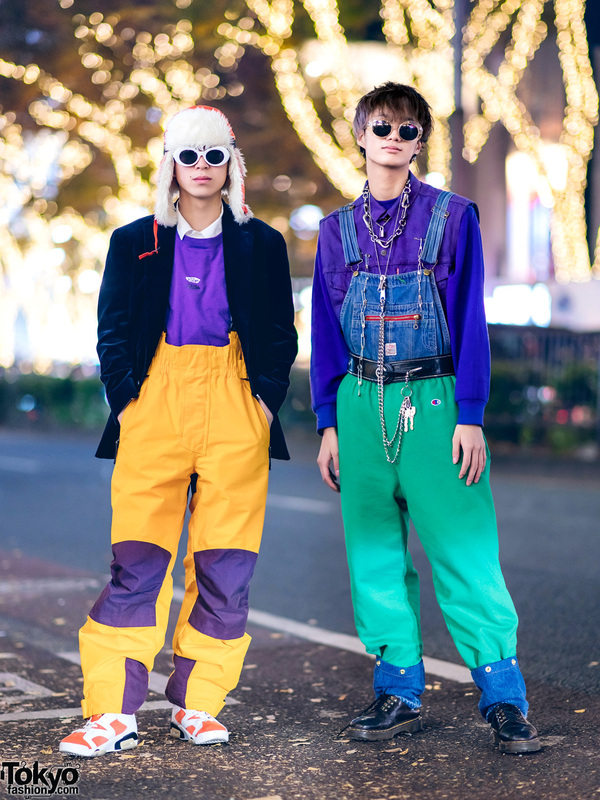 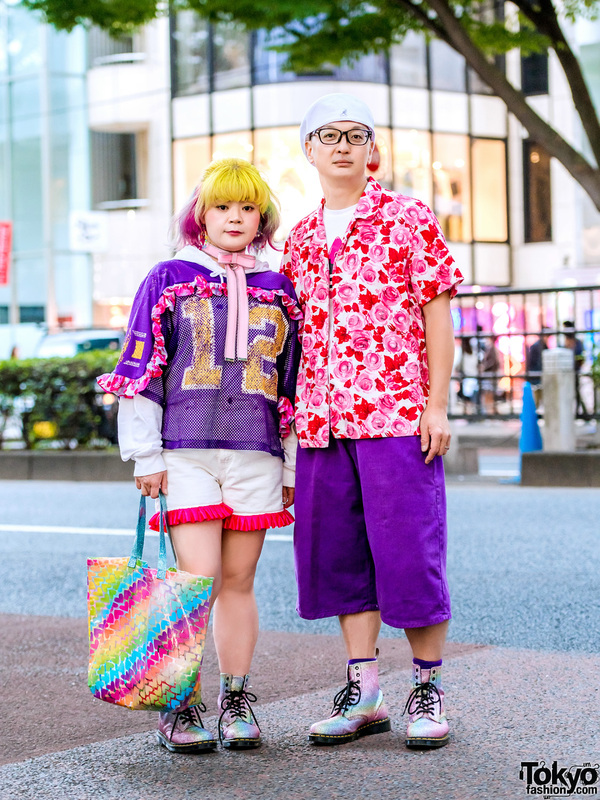 Japanese student showcasing monochromatic sportswear in Harajuku.